Is The Constitution A Key? The current debate on constitutional change reminded me this old joke about drunkard guy looking for a lost key. In this discussion, I shall use the old Marxian term –the national question – rather than the conventional terms -the Tamil ethnic question or the ethnic problem- commonly used in the current discourse. It has been incessantly argued with some justification that a new constitution or a revolutionary changes in the existing constitution is the key to resolving the national question as the Tamil struggle has been from its inception revolved around the issue of the state power. Although the issues has not been raised with that intensity in relation to the Muslim national question or the Kandyan Tamil question, a similar solution is flagged. The present writer also held the view, may be until 2005, that the constitutional change was the key to the resolution of the national question that is expressed in multiple forms. However, three events have led to the complete metamorphosis of my views on the issue. 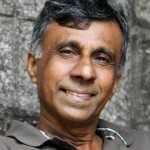 Let me list these three views in chronological order: (1) the complete breakdown of the talks between the Ranil Wickremesinghe Government and the Liberation Tigers of Tamil Eelam in 2005 (my article with the caption, “Negotiating with the Non-Negotiable” (written in 2005 and published in 2007); (2) The military defeat of the LTTE in the hands of the Government of Sri Lanka (GoSL) security forces; (3) Sri Lanka’s adherence to neoliberal economic policies irrespective of the political party in power. When nations or ethnic groups are in conflict, the settlement, resolution and transformation of the conflict may be initiated only in a situation which is characterized by a confluence of certain elements and forces. Hence, such a conjuncture should be taken not as a “phase” but as a “moment”. In recent Sri Lankan history we have seen in my view that conjunctural moment in three instances. In 1987 with the signing of the Indo-Lanka agreement, in 1994 when Chandrika Bandaranaike came to power and In 2009 after the military victory over the LTTE. We missed all three moments primarily because of the failure of the Sri Lankan political elites, both Sinhala and Tamil. Of course, the major share of the blame should go to Sinhala political elite as they represent the hegemonic element in the equation. In the first two moments, constitutional change played a major role. While the refusal of the Tamil United Liberation Front (TULF) to participate in the process was one of the key reason for 1987 failure, Chandrika’s postponement of the process for her own power greediness affected adversely the process. In 2009, the failure may be attributed to the Sinhala egoism represented by the Mahinda Rajapaksa regime. This ontological understanding reveals a hidden elements that lies behind this failure. When the ‘moment’ that is conducive to the resolution of the deep-rooted conflicts passes by, conflicts often times reemerge with great intensity. The society will be polarized on ethnic lines. The polarization of society on ethnic lines makes resolution of the conflict extremely difficult. We have experienced this in the post 1987, the post 1996 and the post 2010. Today, in the post 2015 “regime change” polarization of society on ethnic lines has greatly intensified. The attacks on Mosque in Mallawapitiya and hate speech in social networks provide evidence for ethnic polarization. It this context, it is not unnatural read any proposed changes in the prism of ethnic identities. As someone has informed the constitution is the power map of the state. The point that I wish to submit here is that in the present context a referendum that is required for a constitutional change of this nature would be a battle fought on ethnic lines. Can a constitutional change be the key? Absolutely, not at this juncture. It appears that a key can be found in different plane where the visibility is less. This brings us to the issue of social classes and neoliberal project. How does this relate to neoliberal economic project? The focus of the World Development Report of 1997 (WDR) was state restructuring. There are two views of state reforms, namely the neoliberal state reforms and what I call the reforms for peoples’ power. The tangentially overlapping of the two should not be viewed them as one and the same thing. Neoliberal state reforms as outlined in the WDR ensures that elites would be kept in power and be given decision-making authority. Power-sharing or devolution is to share power among elites of the different ethnic or national groups. Those who emphasizes the importance of the constitutional change look for an elite agreement that is similar to the present agreement between the Yahapalana Government (YG) and the Tamil National alliance (TNA). Both the YG and TNA are in agreement that the neoliberal economic project is imperative to achieve economic development. The TNA has voted for all three budgets presented so far by the YG. The implementation of neoliberal project in the North as well as in the South go against the fundamental economic rights of the people. Let us take an example. The YG is trying to grab large amount of land in the island thus violating peoples’ rights to use land, water and other natural resources. The government seeks to attract foreign investors offering them land on easy terms in the pretext that small peasants’ use of land is ineffective and unproductive. So far not a word is uttered by the TNA on this. Similarly, YG is trying give country’s resources to foreign investors. This may include oil farms in Trincolmalee, harbor in Hambantota. Although oil farms in the Eastern Province, a part of the so-called Tamil homeland, both the TNA and the Chief Minister of the Northern Province were conspicuously silent on this matter. Neoliberal state reforms may change the power-sharing between the elites of different ethnic/ national groups but would fail to give power to the people enabling them to decide on their livelihood and resources. Hence, the previous failure of all the attempts can be posited as a failure of the Sri Lankan elites because they did not include issues and problems faced by the lower strata of the society. The struggle against neoliberal policies would provide a new space within which people can be brought into a united struggle irrespective of their ethnic affiliation. Let me give an example. The disastrous event in April at Meethotamulla has posed strongly the need of right of self-determination of the people to decide whether the people in the area wish to have garbage from other areas. This right may be expressed only under a system of Jeffersonian “ward democracy” that would be the foundation of the new state structure. The same principle can be adopted over the issue of land right in Mullativu or in Hambantota. However, this system of change may be totally different from the change that would be attempted by the neoliberal state reforms. The new key is not in the “visible” place of constitutional change but in the “less visible” space of struggle that people have already started on the issue of land, water, national resources and environment. As Judith Butler once argued what would result in in this process is not a nation-state but a federation. The struggle against neoliberalism will be integrally linked with the struggle for a new constitution that ensures justice, equality, democracy and ecological balance. The Canton system of Government which is prevalent in Switzerland should be adopted all over the world to get rid of the asinine rulers in the majority of countries. The massive waste of resources for elections would also be eliminated considerably. There is a page on Facebook named Fine Tuning Democracy which is somewhat similar. The answer is “No no no”. Maybe in about 25 years. The language/religion divide was created some seven decades back, purely as a temporary vote grabber. SWRD B tried to put things right in 1957, failed under pressure from his own cabinet, never lived long enough to try again. The divide has become a hard currency vote getter. Unless and until this mindset is changed, new constitutions (if any) will fail. 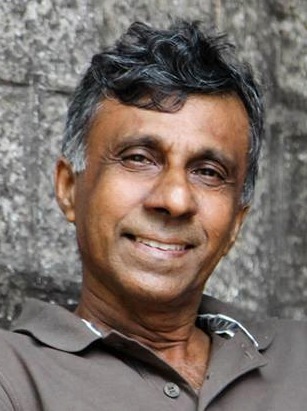 On 08 January 2015 Lankans changed the regime on the promise that the then prevailing corruption, nepotism and culture of impunity will be bridled. These are galloping faster than ever! Leader of the State. His guidance is thus far Nil. A timely contribution with sufficient clarity about the discourse on ‘neoliberal state reform’ and ‘constitutional reforms by elite consensus’. This poses questions about the development orthodoxy adopted by the government with multilateral agency support for ‘accelerated development’. I would Like Sumanasiri Liyanage to expand on the space available for united activism across ethnic, geographic and possibly class lines a bit more going beyond a mere demand for ‘ward system’ in Local Government. Introducing a warts system while the elitist state(and party) control is in place is not going to provide true democracy at the grass roots level. What should the nationalist-patriotic social and political forces do to address the alienation of land and other resources for multinationals and foreign countries? What organisational mechanisms are possible and necessary? As this is something common to other developing countries, what can we learn from their experiences? Role of civil society organisations and intellectuals in all this? A timely contribution with sufficient clarity about the discourse on ‘neoliberal state reform’ and ‘constitutional reforms by elite consensus’. This poses questions about the development orthodoxy adopted by the government with multilateral agency support for ‘accelerated development’. I would Like Sumanasiri Liyanage to expand on the space available for united activism across ethnic, geographic and possibly class lines a bit more going beyond a mere demand for ‘ward system’ in Local Government. Introducing a wards system while the elitist state(and party) control is in place is not going to provide true democracy at the grass roots level. What should the nationalist-patriotic social and political forces do to address the alienation of land and other resources for multinationals and foreign countries? What organisational mechanisms are possible and necessary? As this is something common to other developing countries, what can we learn from their experiences? Role of civil society organisations and intellectuals in all this? Ethnic polarisation in a well entrenched mode of strategy used in Srilanka since independence to decapitate working class progressive people movement and its progress. However much we don’t agree with neoliberal agenda, pragmatic solutions to progress in development can’t be found without partnership with them as China did. Srilankan people can compete with them and protect their interest only by uniting their people by progressive constitution to unite its citizens and communitiesto actively take part in country’s future as equal citizens. Then only Srilankan people will have a government which can genuinely represent their interest. Unless that objective achieved neoliberals and corrupt politicians will continue to exploit our nation at ordinary people’s expense. India being Our big neighbour, irrespective they have a Tamil speaking population, merit different obligations. India having Tamil speaking population give Srilanka more culutural and emotional relationship which overall very advantageous to Srilanka contrary to JVP’s earlier preaching and current DJ’s paranoid views. Many don’t realise it’s India which did and in the future too will do what ever it takes to prevent separation in Srilanka. Once again it was neoliberals who made India to use ethnic polarisation to its advantage in Cold War era. In the final analysis only maximum devolution of powers to the provinces by constitutional reform is the best option to defeat neoliberal agenda. Neoliberals with their partners will promote ethnic polarisation to defeat this objective.Do Srilankans clever enough to stop themselves emotionally robbed of their knowledge of knowing the truth.